Nice:) In photos it looks like a big rock. Nothing more. However, when you are there it’s quite different. If you take some time to ‘be still’ and absorb where you are, you can feel it’s spirituality. It is, and has been for thousands of years, a meaningful place for Aboriginal culture for a reason. 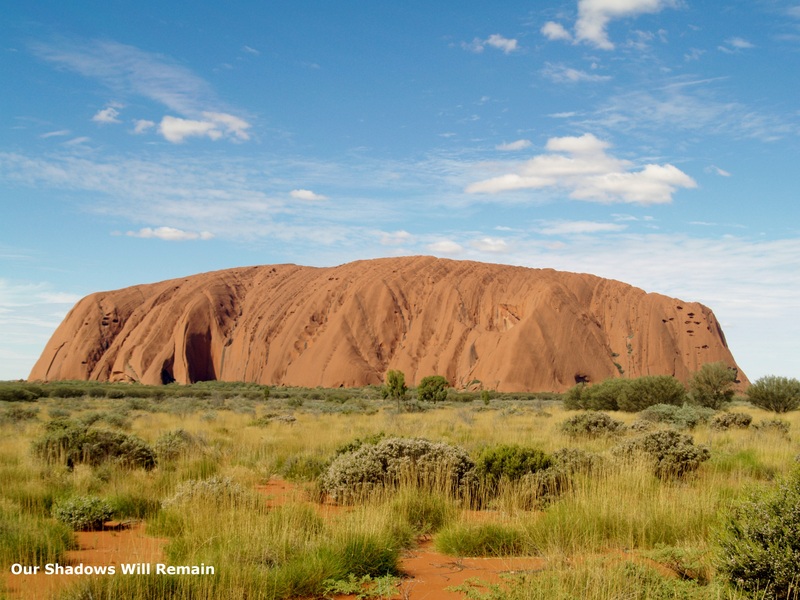 When I was there they still allowed people to climb Uluru, although the Anangu requested tourists did not out of respect. We found a slow, thoughtful, walk around the perimeter to be a wonderful experience. Since many people seem to transform into rude demons when they’re tourists, I hope that by now all climbing is forbidden. It takes a little effort to get there (it’s in the middle of nowhere! ), but it’s worth it. Yes, it is a hard place to visit. I went there while driving from Adelaide to Darwin, a worthy detour. I will be posting more about the Anangu and the climb as it is a very important subject when visiting the national park.